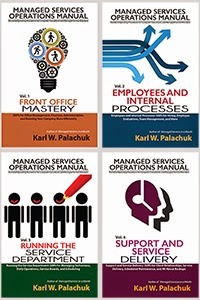 Small Biz Thoughts by Karl W. Palachuk: I'm beginning to feel a bit like Susan Bradley . . . I'm beginning to feel a bit like Susan Bradley . . . 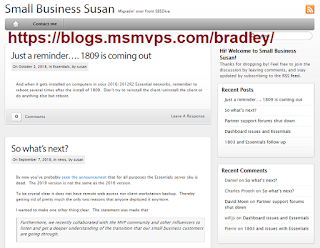 If you're new to the Small Business IT world, you may not have bumped into Susan Bradley's content. If you HAVE been around much as all, you are pretty much guaranteed to have found her blog. Why? Well, she answers so many questions, that her blog turns out to be the answer for many technical questions. I first met Susan way back in 2003. She was wearing a shirt that said, "I'm blogging this." My response (luckily, inside my own head) was, "What's blogging?" Then I started really digging into Small Business Server . . . and Susan's blog was listed in almost any Google search related to SMB or SBS. Really. Everywhere. Anyway, one time Susan told me that she started her blog in part because it was an easy way to store answers to all the questions that came up. Every time she solved a problem, she blogged about it. And then when she had that problem again, she could just go to her blog and search for it. This morning, for the first time, I started to feel a bit like Susan: I used my own site to find a "How-To" I'd written with regard to fixing something on YouTube. I knew I'd covered this exact issue in the recent YouTube class I taught inside the Small Biz Thoughts Community. So I jumped in there and instantly found what I was looking for. It was quite gratifying. Don't get me wrong: I'm still a million steps behind Susan. But her story about using her own blog as a resource popped into my head, so I thought I'd give her a shout-out. In case you haven't checked out my Blog Roll, it's over on the right side of my blog. Just scroll down. Susan's blog has been on my blog roll since the first day I set up this blog. Others have come and gone. 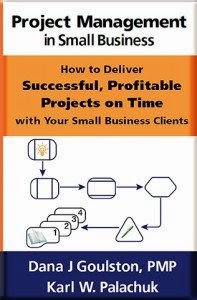 But Susan is a resource I've relied on since I started learning about the world of SMB IT consulting.